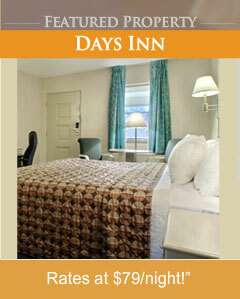 Washington, DC Area Hotels - Enjoy it All, From the White House to National Mall! From its patriotic landmarks and national monuments to its world-class museums, shopping districts, universities, festivals, theaters, and eclectic neighborhoods, Washington D.C. is filled with sights, sounds and symbols that inspire millions. Packed with famous attractions, such as the White House and National Mall, exciting special events, and cultural icons, Washington, DC offers inspiring tourist experiences. Beyond familiar vistas, DC unwinds into a lively metropolis, where trendy cafés and shops line the streets of Georgetown, downtown dazzles with wonderful restaurants, jazz notes swing out of U Street nightclubs, funky shops color Capital Hill, world-class performers take the stage at the Kennedy Center, professional basketball and hockey reign supreme at the Verizon Center, and the Potomac River winds past marble tributes to America's founding fathers. Bordered by Washington, DC and Maryland, the Commonwealth of Virginia is the beautiful gateway to the South and America's founding heritage. With the Pentagon and Arlington National Cemetery in Arlington, family attractions and history in Colonial Williamsburg, shopping amidst 18th-century architecture and cobblestone streets in Old Town Alexandria, culture and art in Richmond, the beautiful Blue Ridge Mountains and the ocean surf of Virginia Beach, Virginia is an enchanting tourist destination for every season. Enjoy an unforgettable journey through Maryland, from the Chesapeake Bay and Eastern Shore beaches to the historic state capital of Annapolis, the entertainment and shopping of Silver Spring, Bethesda and Chevy Chase, and the majestic Allegheny Mountains. Drive along Civil War Trails, explore the Historic National Road, pause in Baltimore at the birthplace of "The Star-Spangled Banner," experience championship horseracing at the Preakness and indulge in the Maryland's four seasons of recreational pursuits, including sailing, golfing, hiking and skiing. Whether you are visiting the Washington, DC area for business or a family vacation, you will feel at home at some of the most comfortable and convenient hotels. Enjoy a variety of excellent lodging choices that offer exceptional services, contemporary amenities and convenient locations near popular attractions, restaurants, shopping and landmarks. + Savor family-friendly lodging at the Best Western Mount Vernon, an outstanding Alexandria, Virginia hotel convenient to historic Mount Vernon and Washington, DC. Treat yourself to spacious guestrooms and suites, excellent service, and a boatload of amenities, including an adjacent restaurant and lounge, complimentary continental breakfast, fitness center, meeting and banquet facilities, sightseeing tour desk and complimentary high-speed wireless Internet access. 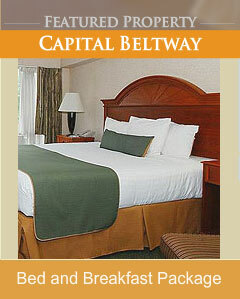 Best Western Capital Beltway-Lanham, Maryland. + Explore our nation's capital from the Best Western Capital Beltway, a splendid full-service hotel 12 minutes from Washington, DC, and close to Annapolis, Maryland, attractions, restaurants, shopping and sporting events. Enjoy comfortable accommodations, complimentary breakfast, a restaurant and bar, indoor pool, meeting and banquet space, wireless Internet, and superior hospitality. Georgetown Inn West End - Washington, DC. + Enjoy modern amenities and exceptional service at this upscale Washington, DC hotel, located in the historic Georgetown area. Found across the street from George Washington University, hotel guests will find this prestigious neighborhood the perfect location while visiting the District of Columbia for business or leisure. 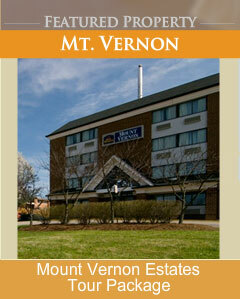 + At the Best Western Manassas, your comfort is our number one priority. During your stay, you'll feel at home with our contemporary, spacious accommodations, outstanding amenities and services, and warm southern hospitality at a great value. 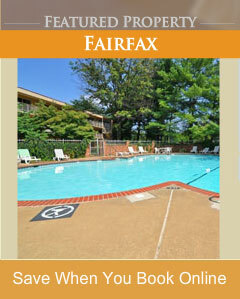 Located just outside Washington, DC, the hotel offers excellent facilities, a Jacuzzi and sauna, and a delicious breakfast buffet. 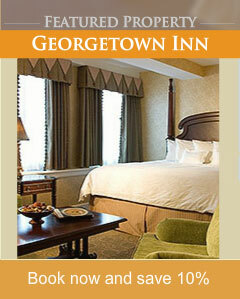 Best Western Pentagon-Reagan National Airport-Arlington, Virginia. + Located in Arlington, Virginia, just across the Potomac River from Washington, DC, the Best Western Pentagon-Reagan National Airport is the ideal hotel from which to experience the history and hospitality of Arlington and Washington, DC. This comfortable hotel and meeting facility is minutes from Reagan National Airport as well as many attractions and museums. 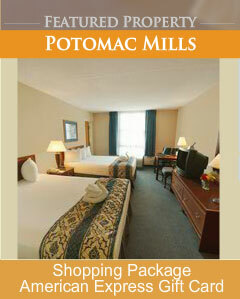 Best Western Potomac Mills-Woodbridge, Virginia. + Surround yourself in comfort at the Best Western Potomac Mills, featuring newly decorated rooms, complimentary deluxe continental breakfast, and a host of contemporary features that make traveling to the Washington, DC area a pleasure. Whether you're driving into Potomac Mills for leisurely shopping or traveling into DC on business, you'll enjoy convenient access to exciting attractions and national sites when staying at this convenient Woodbridge, Virginia hotel. 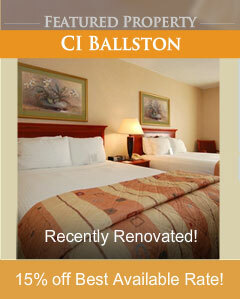 + Discover this newly renovated Springfield, Virginia hotel only 10 miles from Washington, D.C. 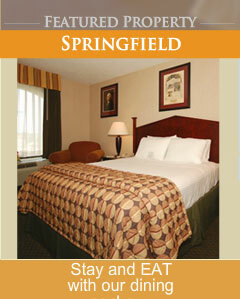 The Best Western Springfield Mall offers exceptional lodging with a diverse range of amenities for business or recreational travelers, including meeting and banquet facilities, complimentary breakfast, a fitness center, an outdoor pool and shuttle service to local destinations. Our professional, courteous hospitality team looks forward to hosting you. 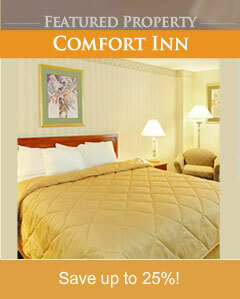 Comfort Inn at the Pentagon-Arlington, Virginia. + Discover an exceptional lodging experience at the Comfort Inn at the Pentagon, where you'll enjoy an array of amenities and gracious service. Whether traveling for business or pleasure, our Arlington, Virginia hotel provides outstanding accommodations, an ideal location, thoughtful amenities, and affordable rates. 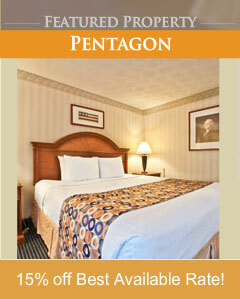 Come experience the history and hospitality of Arlington and Washington, DC at the Comfort Inn at the Pentagon.! + Whether you're traveling to Arlington, VA for business or pleasure, Comfort Inn Ballston is ideally situated just minutes from all the key attractions of the Washington, DC metro area. 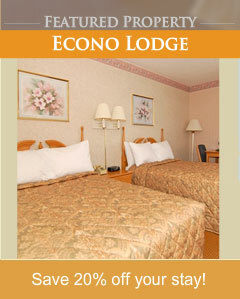 Econo Lodge Metro-Arlington/Falls Church, Virginia. + Whether traveling for business or pleasure in Arlington, Virginia, the Econo Lodge Metro provides comfortable accommodations, an ideal Washington, DC location, friendly service, and affordable rates. The Econo Lodge Metro is the proud recipient of the Choice Hotels International Gold Award for 2003 and 2004. Our attentive and courteous staff takes pride in exceeding the high standards expected by guests. 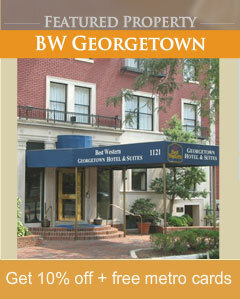 + If you're looking for a boutique hotel in the Washington, DC area, the Best Western Fairfax is a perfect place for you. Conveniently located minutes from the Metro Station, within a mile from downtown Fairfax, and three miles from George Mason University, our hotel is ideal for business or leisure travelers. Our meeting/banquet facility can accommodate up to 175 people and we have an onsite catering staff ready to make your next event a huge success. + Located near Washington, DC, just minutes away from the White House, National Mall, and Fort Myer, the Days Inn Arlington, Virginia your value lodging option. Our inviting hotel offers complimentary shuttle service to the Metro Station and features Rudi's Bar and Grill, which serves a classic selection of American cuisine. + With a Wisconsin Avenue address in the heart of historic Georgetown, The Georgetown Inn offers guests privacy from the bustle of DC, yet convenient access to famous nearby attractions. 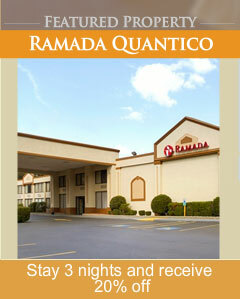 + Enjoy 100% smoke-free guestrooms at Ramada Triangle/Quantico, an ideal lodging choice for family vacations, corporate travel, business meetings, reunions or weekend getaways. Our newly-renovated hotel in Triangle, Virginia is situated between Quantico Marine Corps Base main gate and the new National Museum of the Marine Corps. A convenient location puts you within easy reach of downtown Washington, DC. 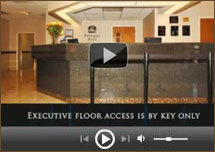 And our friendly, experienced staff offers various concierge services to enhance your visit.